DUBLIN- February 26, 2018 - Medtronic plc (NYSE:MDT), the global leader in medical technology, today announced that the U.S. Food and Drug Administration (FDA) has approved a new arm indication for the Guardian(TM) Sensor 3. 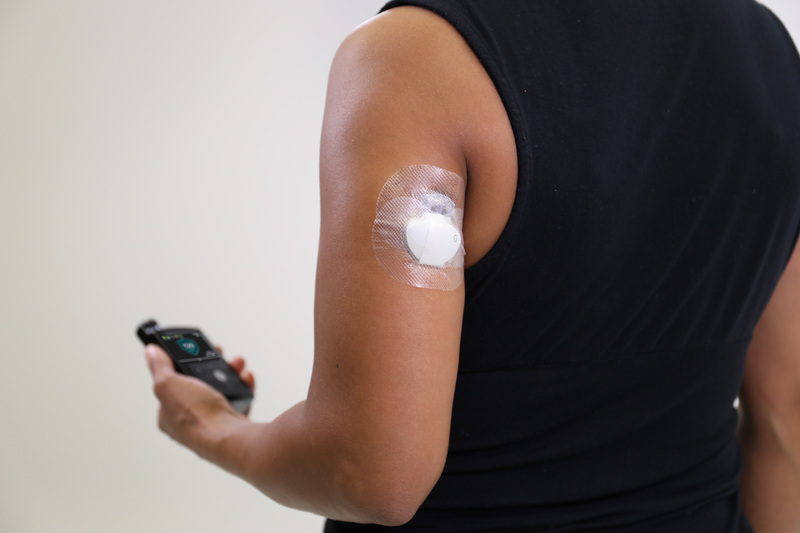 This expanded indication will enable patients to wear the sensor on the upper arm - delivering more flexibility and enhanced performance for users, as well as improved accuracy, with a MARD of 8.7 percent following typical calibration methods used with the MiniMed(TM) 670G system. The Guardian Sensor 3 is Medtronic's newest and most accurate CGM to-date and is the only sensor FDA approved to control automated insulin delivery via a hybrid closed loop system - the MiniMed 670G system. "The performance of the Guardian Sensor 3 has been extremely impressive and this new arm indication now offers added convenience and flexibility for my patients who like to have as many options as possible to address their personal needs," said Bruce Bode, M.D., FACE, a specialist with Atlanta Diabetes Associates and a clinical associate professor at Emory University. "These continued enhancements demonstrate a keen focus on the part of Medtronic to deliver a positive patient experience in addition to optimizing outcomes through technological advancements - that can prove to be just as meaningful for quality of life." The Guardian Sensor 3 is currently available in the U.S. for use with the MiniMed 670G system, which is approved for people with type 1 diabetes 14 years old and above. The system features the company's most advanced SmartGuard(TM) algorithm, which helps to increase Time in Range by automatically adjusting basal insulin delivery every 5 minutes based on real-time data delivered by the Guardian Sensor 3. The sensor incorporates diagnostic technology that continuously monitors sensor health to ensure the consistent and reliable performance that is critical for powering a hybrid closed loop system. "We are steadfast in our commitment to delivering both best-in-class clinical outcomes as well as best-in-class experiences for our customers," said Alejandro Galindo, president of the Intensive Insulin Management division within the Diabetes Group at Medtronic. "We are inspired by the many voices in the diabetes community who continue to shape our offerings in a meaningful way as we work to address the wide spectrum of needs within the community. We are very pleased to offer this added flexibility for those who rely on our therapies for their diabetes management needs." Time in Range refers to the percentage of time people with type 1 diabetes spend in the optimal glycemic range of 70-180 mg/dL. The goal with diabetes management is to increase time spent in this healthy range and to minimize high and low sugar levels, which can lead to both immediate and long-term complications such as damage to blood vessels - increasing the risk of coronary artery disease, heart attack, and stroke. Damage to blood vessels can also lead to loss of vision, kidney disease, and nerve problems. Increasing the "Time in Range" over the long-term can best be accomplished by using advances in diabetes therapies, like the MiniMed 670G system with SmartGuard technology, that automates basal insulin. Medtronic plc (www.medtronic.com), headquartered in Dublin, Ireland, is among the world's largest medical technology, services, and solutions companies - alleviating pain, restoring health, and extending life for millions of people around the world. Medtronic employs more than 84,000 people worldwide, serving physicians, hospitals, and patients in approximately 160 countries. The company is focused on collaborating with stakeholders around the world to take healthcare Further, Together.